Elon Musk discloses a smaller ITS and cancellation of Red Dragon at NASA’s ISS R&D Conference. During the latest International Space Station R&D Conference Elon Musk mentioned some big changes to the Interplanetary Transport System and Red Dragon as was outlined last year. 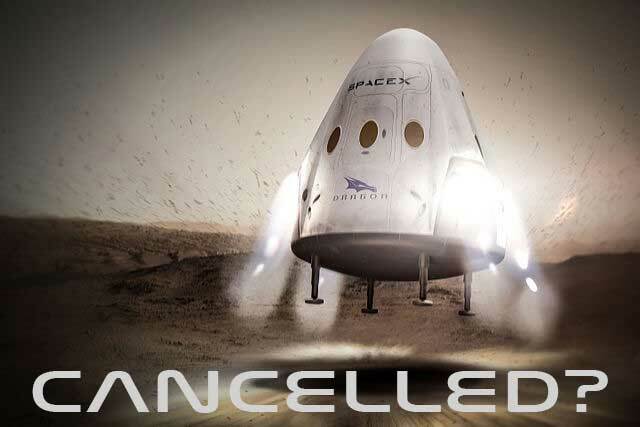 The Red Dragon – A Dragon V2 capsule launched to Mars on the Falcon Heavy – will likely be cancelled. This is due to the fact that NASA’s requirements for Dragon V2 will not allow retro-propulsive landing to be developed. time. Thanks to a question on Twitter, Elon stated that a 9 meter diameter rocket would fit into their existing factories. The original ITS was to be 12 meters in diameter. The total mass should be 50% of the original design.For a full discussion please refer to Reddit thread on the topic. The complete new proposal will be unveiled at The 68th International Astronautical Congress 2017 happening in Adelaide, Australia between September 25-29th. On a personal note, the creator of this site had some unfortunate family matters that prevented timely updates. Fear not, many more timely updates are to come on this site.